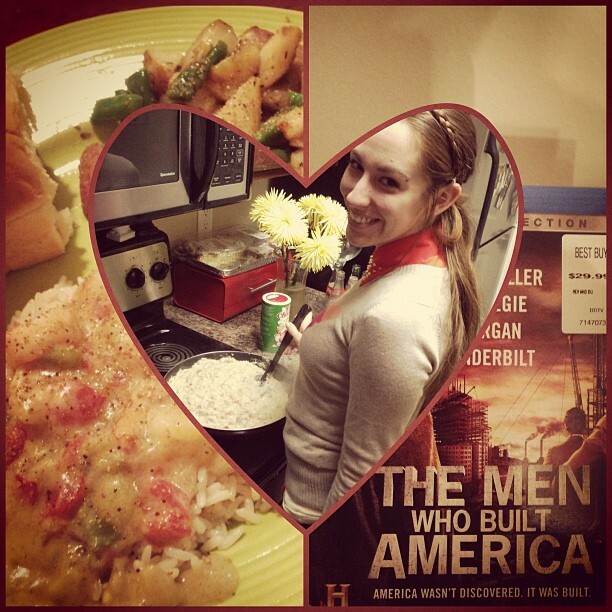 Shrimp étouffée, Men of America on Bluray (one of her gifts to me), and @kalenagrant for Valentine’s. Perfect. And a cheesy diptic. Everyone say Awww.